The circulation of the fake news is on a rise, in the last one year many people have been killed because of the propagation of false news. Now with the upcoming 2019 Assembly elections, the instances of circulation of fake news have increased. While some of these fake news could be part of a propaganda, the others can be just misinformation. 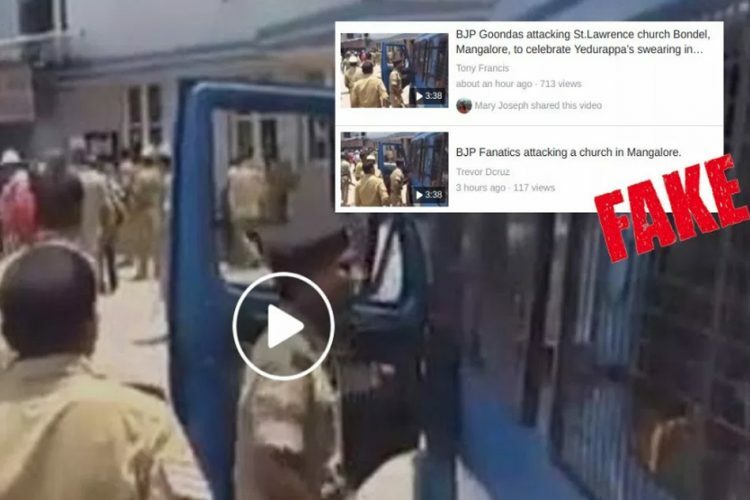 Recently two such fake news incidents are being widely circulated around on the social media. 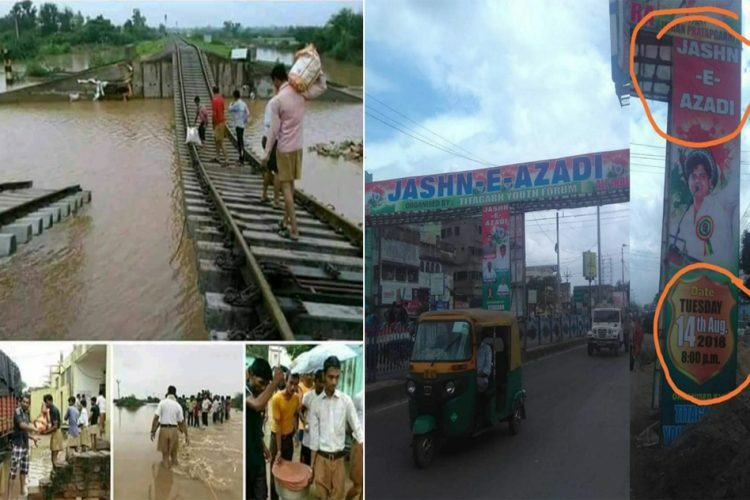 One is from the flood-hit Kerala, where fake pictures of Rashtriya Swayamsevak Sangh (RSS) workers helping the people is going around. Another is about West Bengal celebrating Pakistan’s independence day. According to The Print, a picture that recently went viral was that of the RSS workers helping out flood victims. 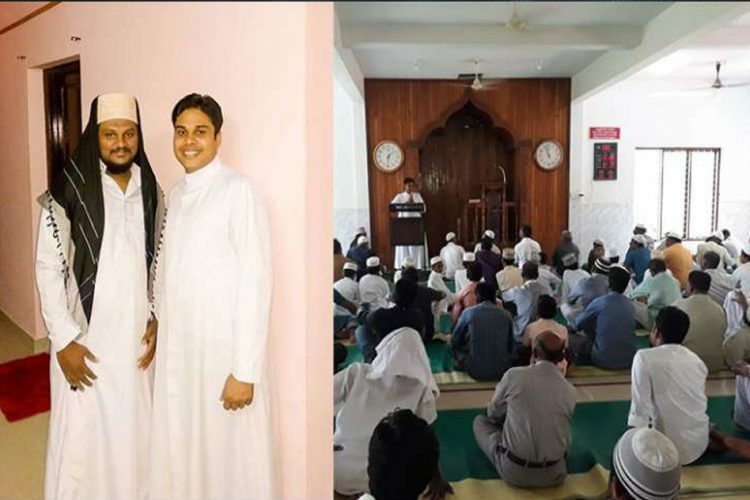 These pictures are being shared with captions, criticising the Left Kerala government. Captions read, “RSS is working harder to provide relief to the flood victims in a state that has seen killings of its members due to political violence”. Looks like Kerela couldn't kill all of those RSS Terrorists. Few of them are still alive and are looting the poor floodstruck Kerelaites. These two tweets have got more than 1,500 retweets. 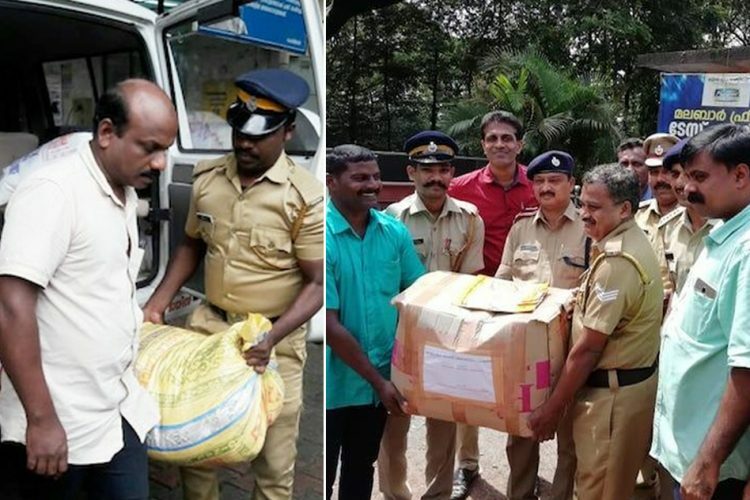 But these RSS workers are not from Kerala, and in fact, they are not even helping the flood victims of Kerala. 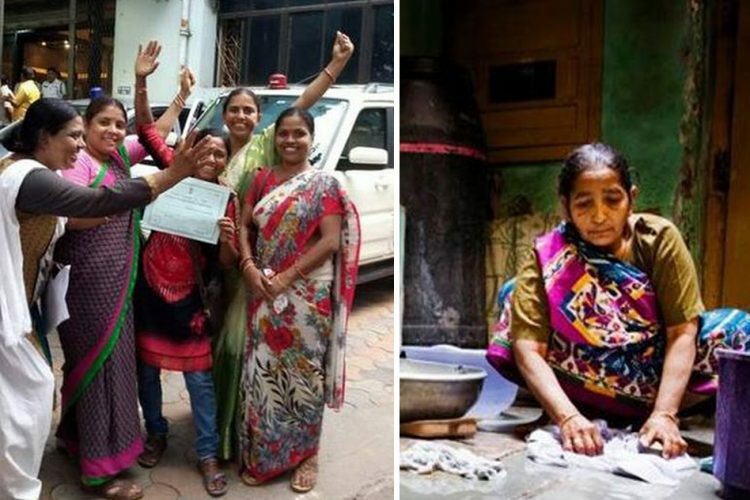 According to the report, the pictures were taken last year in August, when these RSS workers were helping out the victims during 2017 Gujarat floods where more than 200 people died due to the flash floods in the state. The same pictures were shared last year by many people. 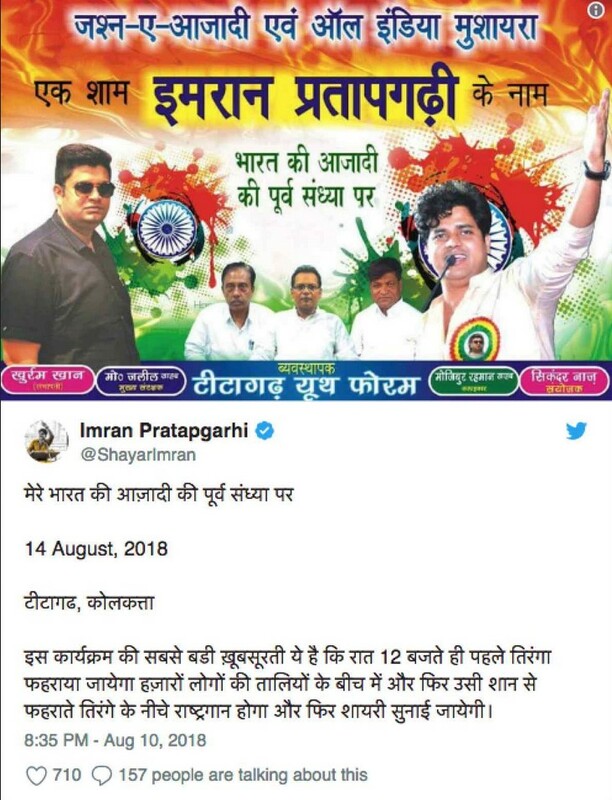 In another fake new, a picture of Independence day celebration from West Bengal has been tweeted by the founder of Postcard News, Mahesh Vikram Hegde with a caption saying, “Please look into this matter. 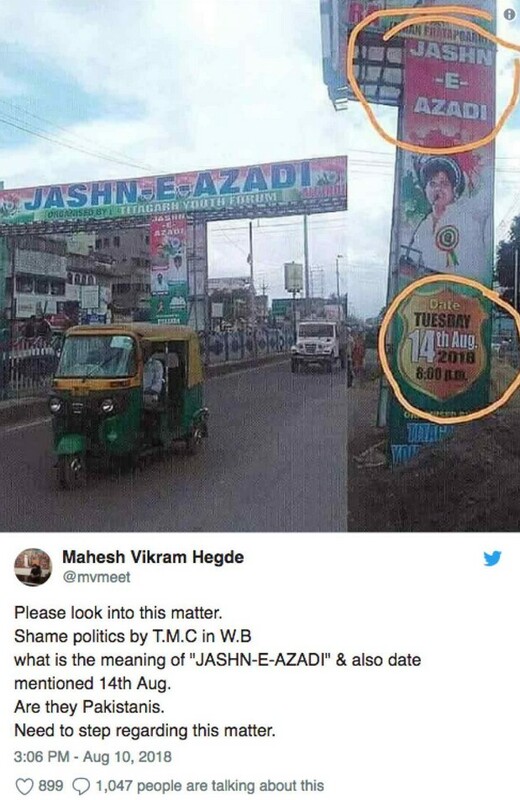 Shame politics by T.M.C in W.B what is the meaning of ‘JASHN-E-AZADI’ & also date mentioned 14th Aug. Are they Pakistanis. Need to step regarding this matter,” as reported by Alt News. This picture, in reality, is of a Kavi Sammelan (Poetry recitation function) called, Jashn-e-Azadi means a celebration of independence which is being held in Titagarh, West Bengal. 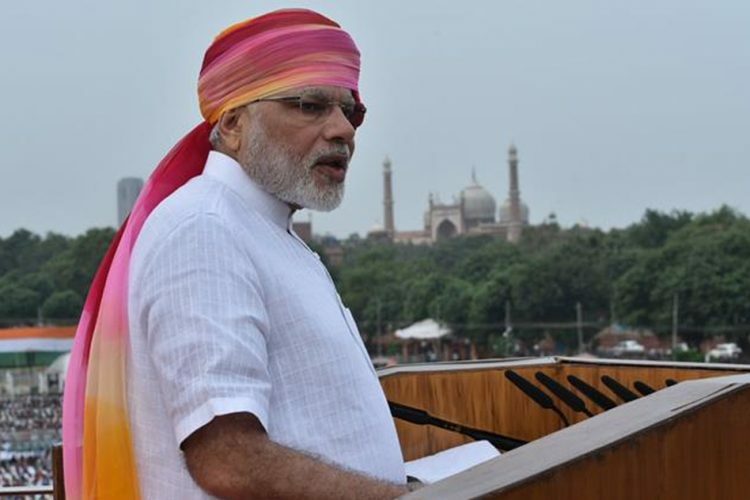 The function is routinely organised on 14 August which is the eve of Indian independence day. 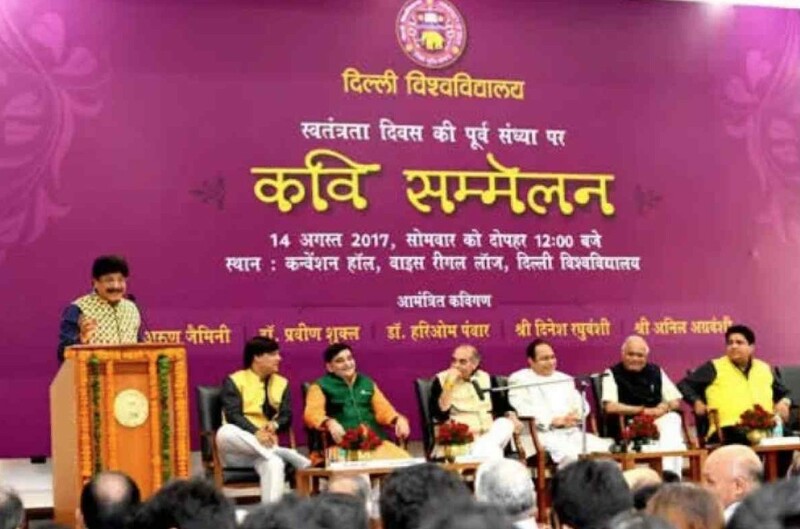 The same event was organised last year as well, here is an image of a Kavi Sammelan on 14 August 2017. 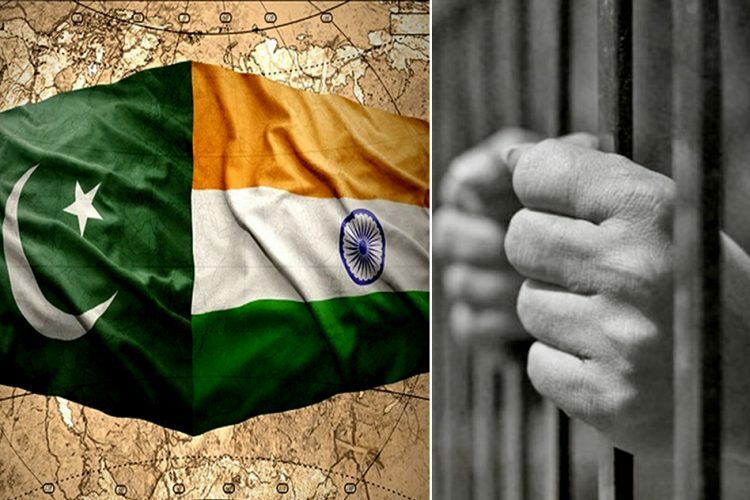 Hegde, who has been repeatedly accused of spreading fake new in the past, asked on his Twitter that “Are they Pakistanis” as the celebration date is August 14. Hegde seems to be concluding that an event on the eve of Independence Day automatically means a celebration of Pakistan’s Independence Day. So here is little more information, to people who think the celebration of Independence day on August 14, is “Pakistani”. The President of India addresses the nation on 14 August every year. This year also on the eve of the 72nd Independence Day today, President Ram Nath Kovind did address the nation.